I have been asked to look at the Tarot as a matter of urgency for Brooklyn Gittins. Generally I cannot just drop everything to do this but on this occasion I have said that I would try. Please remember I write what I get in past present and future mode. Nothing I am given can be considered FACT it is merely possibilities which may or may not help but I am always willing to try to throw a little light. Please go to other factual sources for official information. My first card is a number 5 which might help with routes/distances but ultimately it is the card which when reversed might show that 'we dont listen to good advice' wherever that is coming from. This card can represent anyone in authority and going against that which could be the form or rebelling whether against parents or teachers or the system. However, the feeling is that she might have been chastised or feel as though there were strict rules or strict attitudes about her. Now these cards will reflect past present and future. With the Emperor reversed it can show someone who is abusive or who may abuse her. Sometimes this person is not biological so it could be anyone or it might be an authority of even step parent role. The idea mainly is to convey that the reason this girl has vanished is because of someone or some situation that was stern or cruel or critical whether in her eyes or whether as an actual event. If these cards turn severe there could be problems with the health and respiration. There is a possibility of a vehicle also in these cards. A feeling of a stalker element or interference by someone known to or outside of family. Remember stalker can mean just a feeling of harrassment to the person but it is difficult to be absolute here. This card would give me keywords such as 'K' Key, Quay or Lock. There are often spiritual elements attached to this card. It could mean a connection to a church or that there is one in the area or a name of a place. Not always the case but I give what Im shown. Also North West comes up but as it is reversed a different direction will appear in these cards. A B J D or R may be intials of people and places that might show themselves. There is a certain amount of susceptibility and vulnerability in this card. However, there appears to be conflicts here either with parent figures or someone else who would represent authority of some kind. This may not be the actual case but it may be something she might feel. Certainly no accusations here. Though this girl is young she likes to be socially approved and accepted and 'like the rest' and if she is squashed in that or feels or is told something is immoral it is likely that she will resent it. Immoral is really the wrong word but I just mean that even if she is aware something is not acceptable it may make her resent it. Schools and teachers and religious elements can come up in this card. With this card we get a letter 0. Also a ruby. This girl feels like an outcast though I just cannot say completely why. The reversed Chariot can show escaping or running away but it can also be something more serious like car crashes or vehicles coming into the picture. Not always the case but I have to place it here as Tarot is about possibilities. There may be land with a river running through it and the word 'mountain' comes up, perhaps rural land. I feel as though this girl was feeling sick but started to feel better but something has affected her health. The emphasis being that she is bound to negative situations. Tarot being past present and future will reflect any events or possibilities from these boundaries of time. There may be two people who might know more but say nothing or there may be a connection here to two people. Maybe there is some misinformation or perhaps some bad advice given to Brooklyn by someone around her or that this could relate to someone. Were there any 'odd/things going on with Brooklyn say for the last month? I am sensing some one around her that might be jealous or has sparked off some jealousy. It really might be something matter of fact but it is here. I have been given South by East on this card although initially a possible North direction might have been prevalent. Its a little difficult with cards reversed. I am seeing something BLUE. Keywords of landscape or names of places might be stables horses cattle, barns farm land or pasture not near other houses. Outhouses, cellars, lowrooms or single storey buildings like cottages or bungalows. Also other keywords, gardens, fountains, Bride or Bridal, bed and breakfast, lodgings, beds, hangings dancing schools, wardrobes. Something to do with music? I thought as soon as I saw this card that Brooklyn had been found because it seems to be the aftermath of a situation and the seven might have shown some kind of return as I feel as though there is a turning point here. However, the number we have here is 4 and the card is generally thought to be East but it is reversed. This card can show someone who is 'getting away from it all' with a church in the picture, but equally it can show someone who is beneath ground level meaning that they could be in a cellar or basement or Im getting 'under' or feeling stuck either literally or otherwise. There might be water somewhere and two islands or place named after water. I am really feeling the East West syndrome here. At this point I have pulled up a map because I needed to look at the town this girl has disappeared from. My problem is that I do not know the road where she lives but I see Daybreak North East of Herriman with water elements in the Oquirrh Lake also the medical center there and Mountain View Corridor wondering if there is any connection to or around that area. Of course it has to be said that some directions can be the name of routes or places too. The Keywords (Dee will understand) are likely to be mountains and hillsides. Windmills, wind power, air force bases, airports high communication towers. Sandy gravelly ground, sawpits, wood or where its cut, barns outhouses, places away from other homes/houses. This girl is linked to bedrooms, computers, grandparents, love rivals, upper rooms in houses and wardrobes, ceilings. Sandy could be the name of a place. Tailors and Drapers and copper. Somebody who might drink or take drugs and has a wondering eye. I feel like there is someone not very nice around this girl. Water rocks stone, canyon the colour Black, silver and a 'bird'. Is there a divorce here? or some kind of seperation with someone or perhaps something negative with two people? Im feeling like more could be said but it is not happening. I just feel there is someone or something negative in the mix here. Railways as well as airports can be in the vicinity. All landscape mentioned could be simple surrounding areas therefore it all has to be considered carefully. Our search and find card gives us a 7. Days are associated with this card but so is water, lakes and other water names/elements. I would like to say this girl might be found in under a week but I am best to just give the 7 for now which could also link up to routes or distance. Generally our card is West and as a search and find card might bring up areas or directions that could already have been considered, I am never sure how this information will stand whether past present or future but, there are some keywords such as an M or W, bells, silver a white bridge and fast flowing river or water that might seperate her from her home. This card does put a problem regarding finding Brooklyn. I seem to see an obstacle here but with determination I do feel that she can be found. Its a matter of making the right choice. I am seeing her near a lake due to this being a water card. I really could be totally wrong and understand that as location is so very difficult and still in experimental stage. I am wondering if there is some kind of male in this situation who is a love them and leave them type or whether it was Brooklyns intention initially not to come back. I have to say I cannot decide this as I have a true option being handed over in this card. I am also seeing some kind of falling out with friends here and maybe something about a party or people who get drunk? I have a North East direction but due to the reversal of this card we have to enter some possible direction South. A person description comes up which is not always valid but can show up and that description might be someone who is well built, strong and maybe quite hairy. dark features, including eyes which might be dark and penetrating, squat apperance, broad or square with short neck. Keywords relating to descriptions of places/landscapes or attempts at naming places might be linked to smiths, shops, furnaces, slaughterhouses,, chimneys, forges, bricks, heat. Other keywords might be hostile environment, resonating fear or threat, feeling closed in or lack of light and restricted movement. Deserted places, feelings of prison. North facing walls. Muddy or swampy grounds, bogs marshes, ice or snow. Ruined buildings near water, sewers/drains. Black mud, the word CLAY. Cellars basements, North facing walls, inaccessible places, damp decay or mold. Cold/dark. Churches, church yards or church names. There are opportunities to find Brooklyn but they must be seized quickly. The Tarot must be read in conjunction to each other and in past present and future epochs. I would ask you to remember once again that Tarot can only pose POSSIBILITIES and NOT fact. I hope something might help. The search for a missing 13-year-old Herriman girl is over but the police investigation into the situation is still active. Brooklyn Gittins was picked up by officers at the Walmart off of I-15 near 11400 South just after midnight. She called a family member, the family called police and officers picked her up. She's been missing since Tuesday night. Investigators are considering the case an "abduction" and now are trying to find the person she was with. NB. So happy to hear that Brooklyn is found. I will update with information soon. I have underlined some aspects in red as I receive confirmation of the area and events. It is apparently 7 miles approximately North East to South Jordon. The Tarot gave water name elements (RIVER JORDAN) was the way Tarot was describing the place and this girl was found in SOUTH JORDON and under 7 days which I felt might be the case but procrastinated a little being given a choice, probably because it was under 7 days but shared a 7 in mileage. 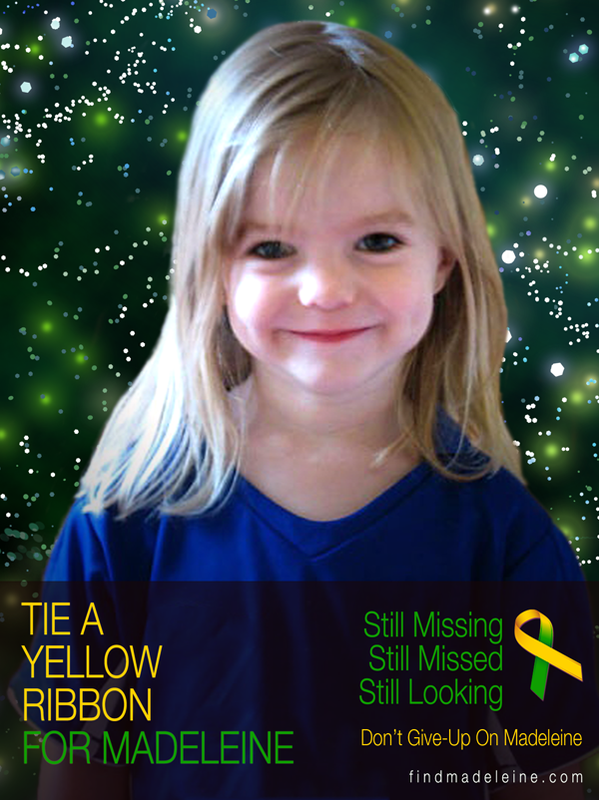 Dee tells me that Brooklyn was found at Mountain View. If that is the case then Tarot has that specifically suggested and route with a '5' in it. It appears that Brooklyn phoned her grandparents who were also mentioned in the Tarot. There is more to this story therefore, I will come back to update further so that we may see what Tarot might have picked up. http://goo.gl/maps/XwkAg ALSO HERE IS THE LINK TO A MAP WHERE SHE WENT MISSING AND WHERE SHE WAS FOUND.VERY GOOD JOB. IM SOO GLAD THIS GIRL WAS FOUND SAFE I HOPE SOMEONE CAN TALK WITH HER,NEXT TIME SHE RUNS AWAY SHE MAY NOT BE SO LUCKY. ALSO I HOPE SOMEONE FINDS OUT WHY THIS GIRL KEEPS RUNNING SOUNDS LIKE A ABUSIVE MALE SOMEWHERE. ALSO THIS MAP WAS DONE LAST NIGHT BEFORE SHE WAS FOUND I JUST ADDED TO THE MAP OF WHERE SHE WAS FOUND TO SHOW IT WAS IN THE AREA OF THE TAROT. Unified Police Lt. Justin Hoyal said Friday that Brooklyn Gittins telephoned her grandmother about 11:30 p.m. Thursday from a Walmart store in neighboring South Jordan. The grandmother called UPD which dispatched officers to the store and found the girl. Hoyal indicated that the girl — who had briefly run away from home this past summer — may have left her home voluntarily Tuesday night. “Brooklyn did leave her home on the night of Jan. 8, 2013 [and] we believe she was picked up and harbored by [the suspect],” Hoyal said. “The disappearance is suspicious and we are still investigating where she went and who she was with. “If a 13-year-old girl takes off and leaves, that’s one thing. But if someone takes her and harbors her for two and a half days without her parents’ permission, that’s a problem,” he added. Hoyal said detectives were exhausted after following the case “24-seven” for the past days, but planned to resume the investigation Friday afternoon — including renewed questioning of Gittins. Hoyal said it could be early next week before investigators have a clearer idea of exactly what transpired. Thank you so much for the update Lisa. I will try to get a new link posted.